When consumers think of life insurance, trendy and cutting-edge aren't the descriptive terms that usually come to mind. More likely, the image is that of your Uncle Bob trying to sell you a whole life policy at Thanksgiving. Yet this very traditional industry is learning — sometimes the hard way — that policyholders now expect a deeper, more attentive customer experience. Savvy agencies are adapting to this new mindset by exploring the benefits of Cloud-based CRM solutions and a modern Knowledge Management System (KMS). The goal of this technology is to enable Omni Channel Support, resulting in personalized customer experiences. Life insurance is an important responsibility for any conscientious parent or spouse. A wisely-chosen policy guards the security of the family, and can play a key role in a household's financial planning. The central importance of these policies makes it essential for insurance companies to meet the expectations of families with efficiency and integrity. For many policyholders, the first contact will be with an agent; but soon the baton is passed to the company itself, which takes on all the great responsibilities of insuring families and futures. In most cases the primary point of contact for the duration of a policy will be the call center. The employees staffing these operations will become a vital link between policy issuer and customer. Although many calls to an insurer will be routine, often customers are reaching out at a time of need, when a devastating event has taken place. They expect timely services, but something more: courtesy, compassion and support. If they instead encounter indifference or inefficiency, they are likely to share this experience in a variety of ways, including broadcasting the experience via social media. This in turn impacts the Net Promoter Score of the company, a number that has become an increasingly important indicator for all industries. The interaction among these various obstacles can make the situation even more intractable. Imagine a common scenario in which a life insurance company has gone through a series of mergers and acquisitions over the years, adding debt to the balance sheet and new layers of complexity to internal procedures. Its call center staff would be in the unenviable position of trying to access a customer's information across a wide range of incompatible and un-integrated systems. To exacerbate the situation, turnover is often very high in call centers, leading to substantial loss of institutional knowledge. What can be done in the face of these obstacles to ensure a better customer experience? Depending on where an insurer is on the spectrum of CRM maturity, there are many different approaches and specific solutions to address each pain point. 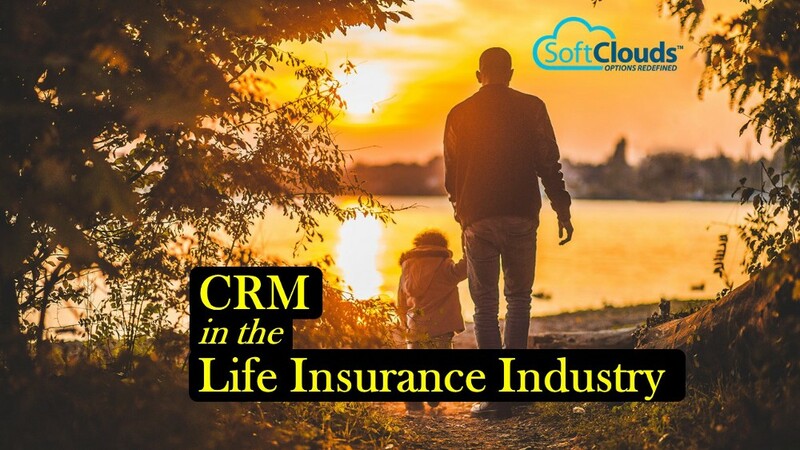 For an organization with significant amounts of legacy systems, an important first step can be implementing a Cloud-based CRM. The company-wide effort to accomplish even this initial step can often be underestimated, as the process forces the insurer to rationalize and normalize its data, optimize its internal and external processes, and design clear integrations between on-premise systems and the Cloud. An effective next step would be to address high turnover rates and complexity in products and processes by adopting a KMS. This empowers call center staff with a living, organic database that grows and evolves over time to enable better, smoother support of customers. The fact that the insurance business is by its nature rooted in specialized knowledge and unique terminology makes this especially important. An example of how an efficient KMS can help improve communication and understanding is an online glossary feature that automatically searches for definitions when a CRM representative encounters unfamiliar terms during the course of assisting a policyholder. These tactical fixes can sometimes aggravate a bad situation in the short term, however, and so it is also critical that an insurer create a long-term strategic vision. That involves taking a step back and designing a comprehensive approach to CRM which centralizes all aspects of CRM and the data necessary to drive it. In this way, an insurer can not only improve support and customer satisfaction, but also grow the business by identifying upselling opportunities. Life insurance companies by their very nature are dependent on data and the technology that helps make this information relevant. But technology is as complex and varied as the lives of the families that trust insurers with their security, safety and peace of mind. An effective way to handle these technological challenges is the implementation of a Cloud-based CRM platform and KMS. The result is an improved customer experience, and a more faithful execution by the company of its most important moral and financial responsibilities. Have you experienced similar challenges in your organization? If so, what part did moving to a modern CRM play in changing the situation? Was implementation of a KMS to empower your employees another key element of your solution? We would enjoy learning about your real-life case studies. This post was written by Kendrick Kihara, Business Analyst at SoftClouds. Kendrick has over 16+ years of professional experience in enterprise environments bridging the gaps between business operations and IT to analyze, design & build better solutions. Prior to SoftClouds, he spent a decade in Tokyo working for multiple companies in Insurance and CRM domains.